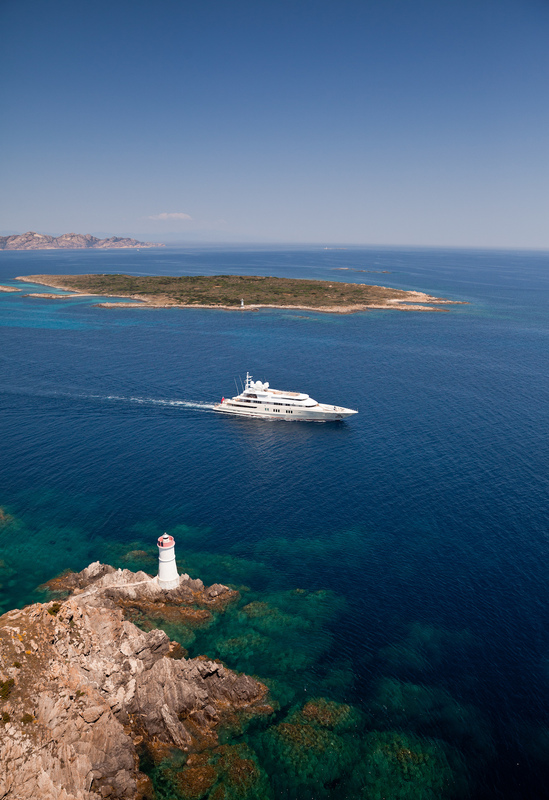 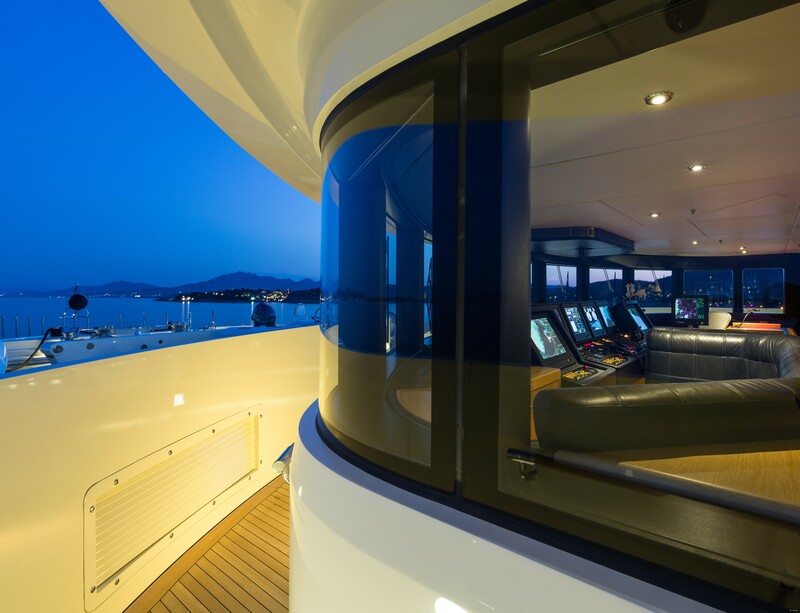 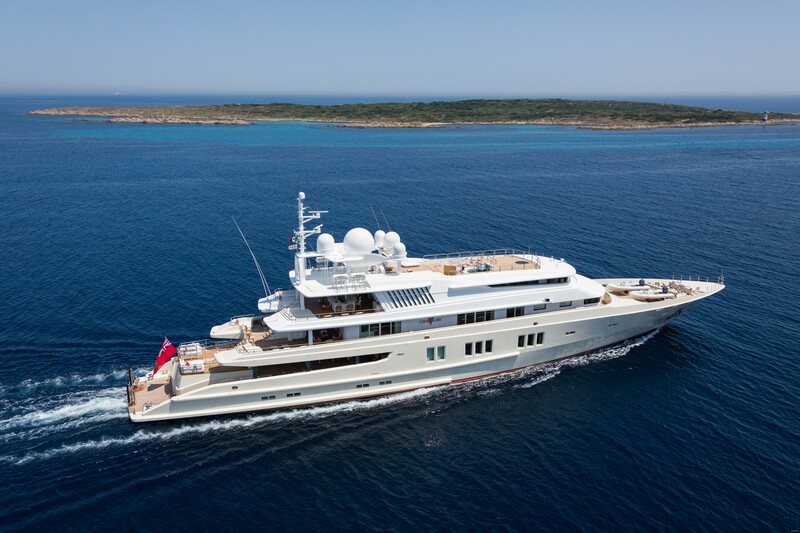 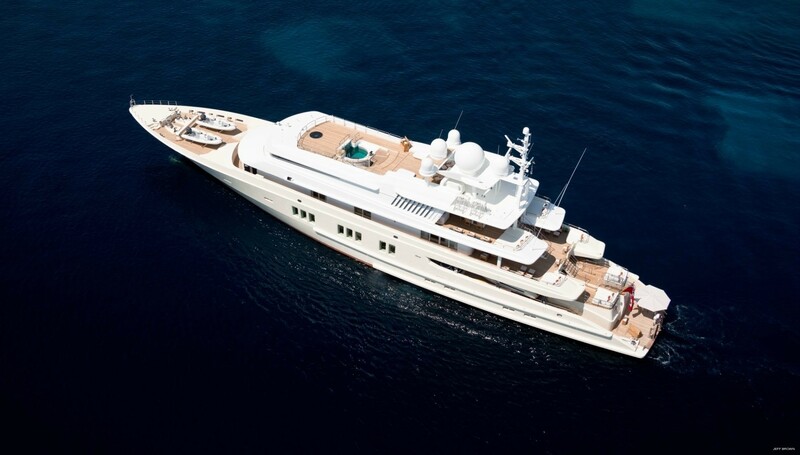 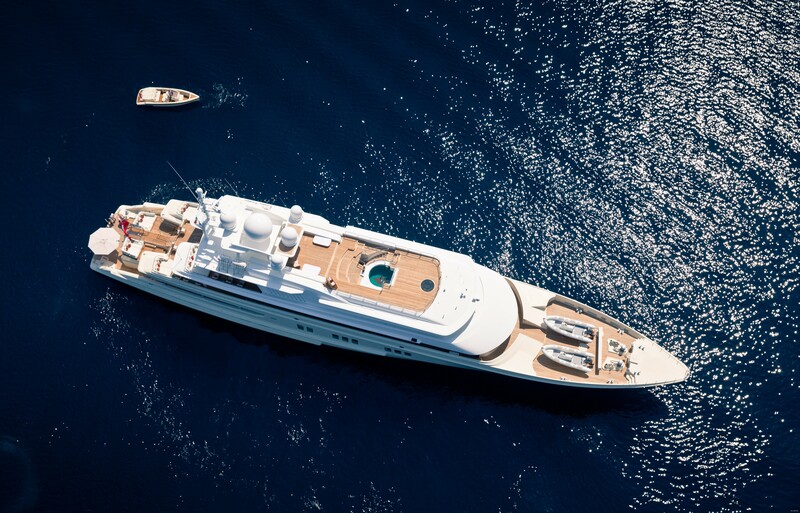 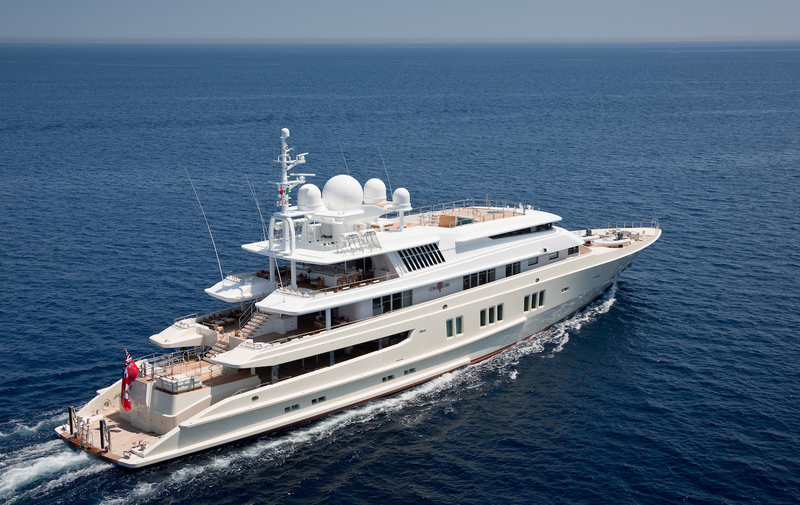 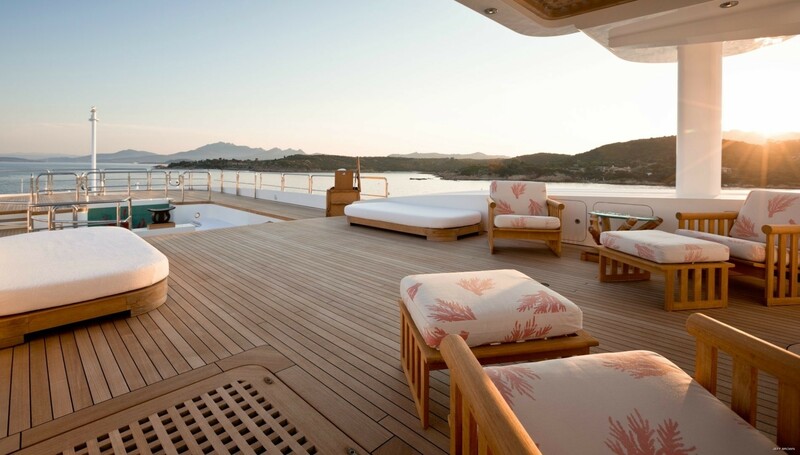 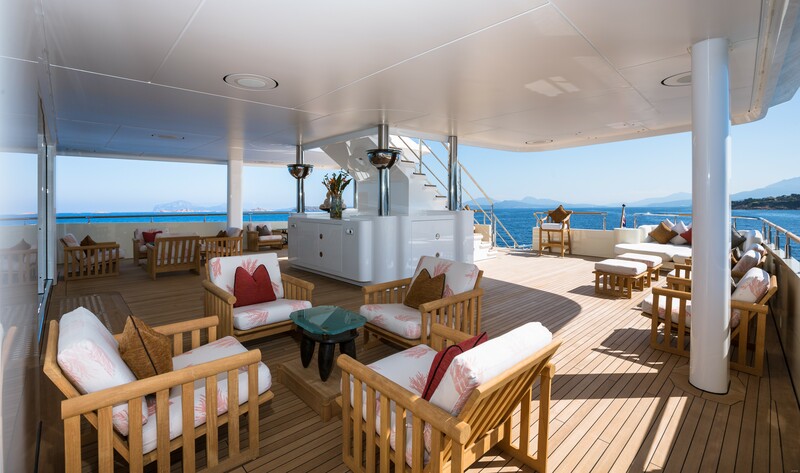 Constructed in 1994 with the last refit in 2016, the 73m Custom Superyacht by the German shipyard Lurssen features massive deck areas and plenty of space for relaxation and entertainment. 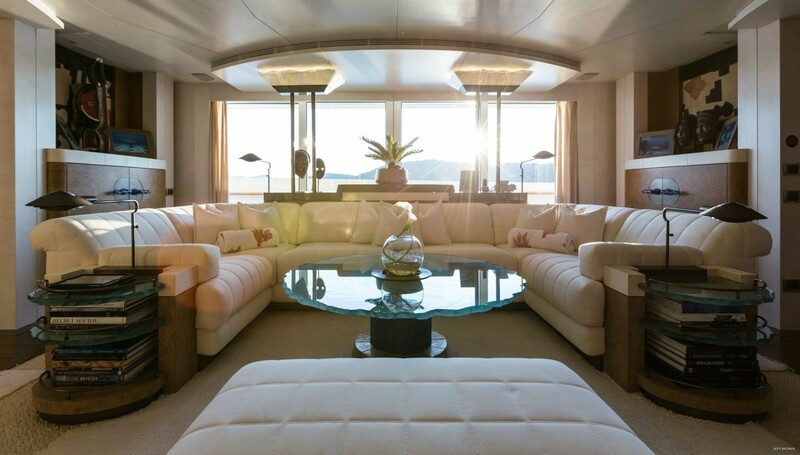 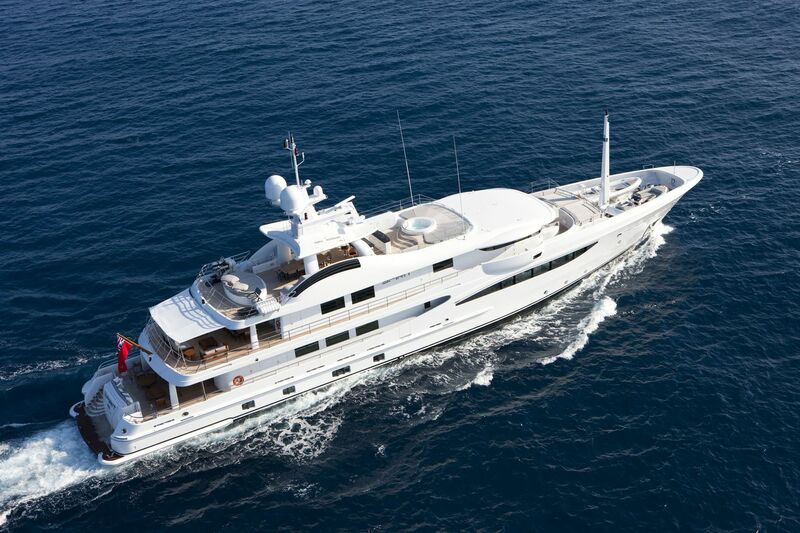 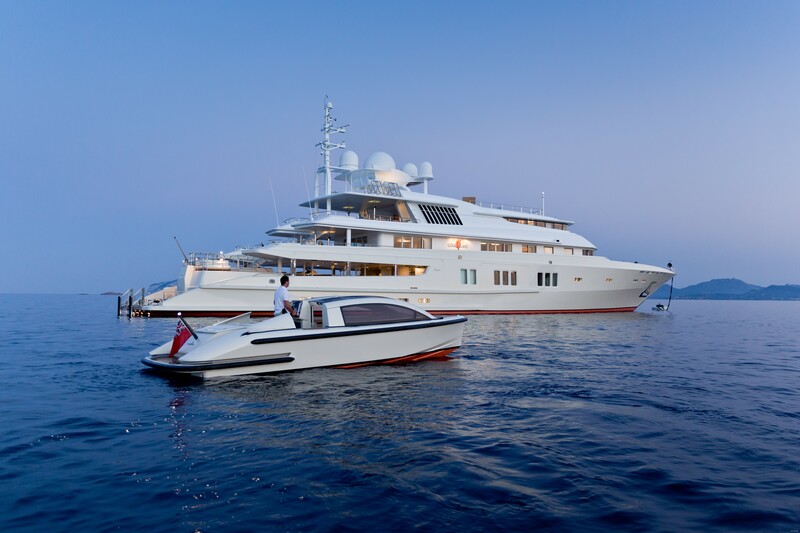 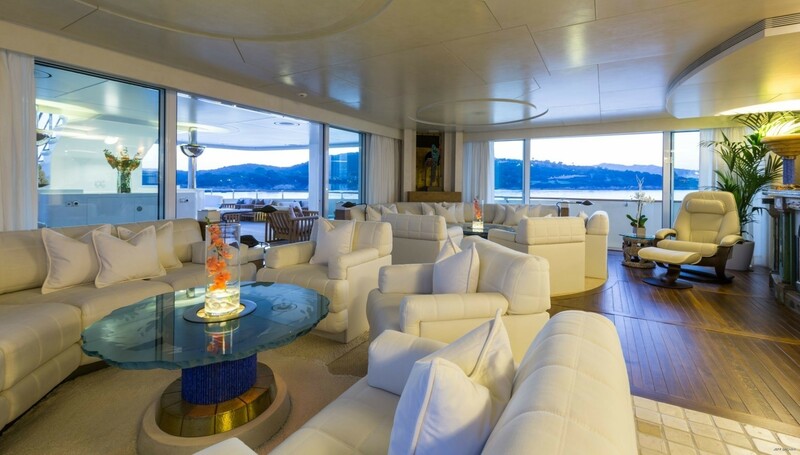 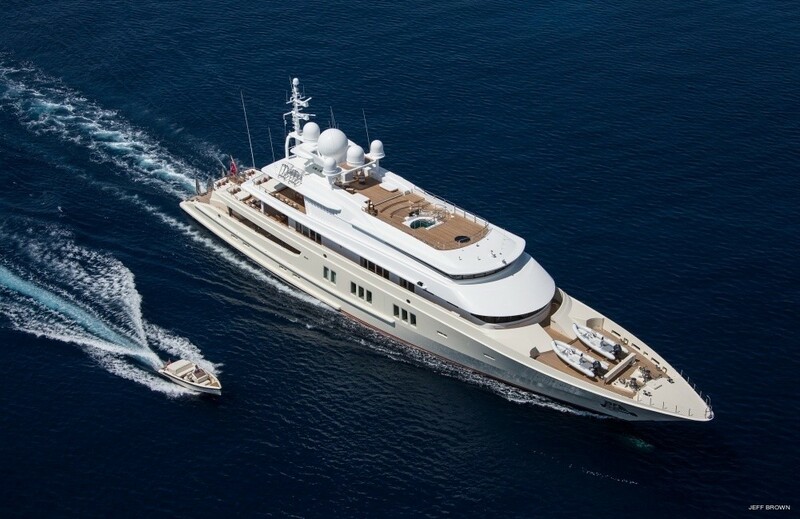 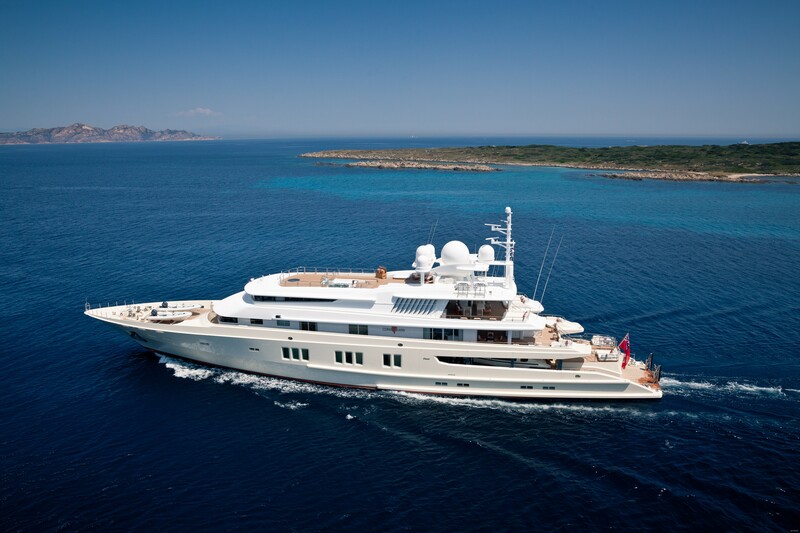 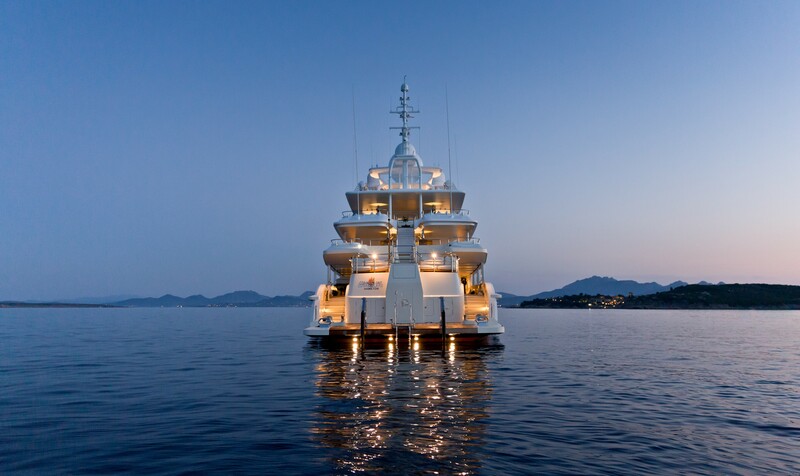 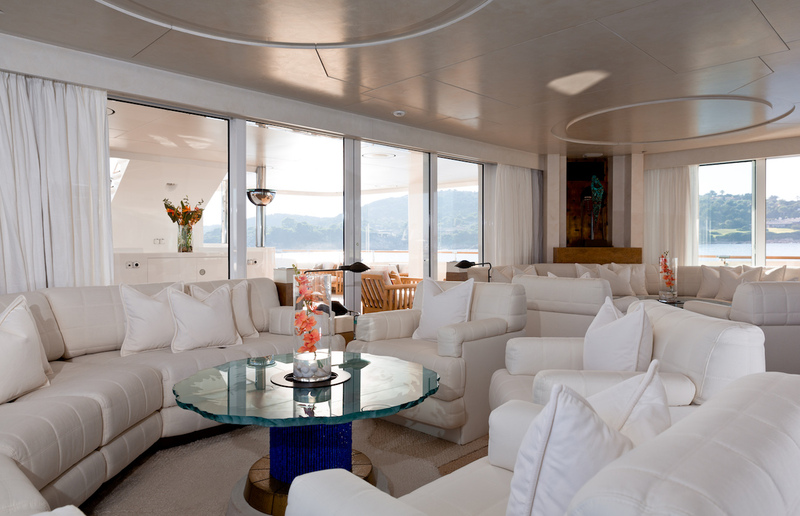 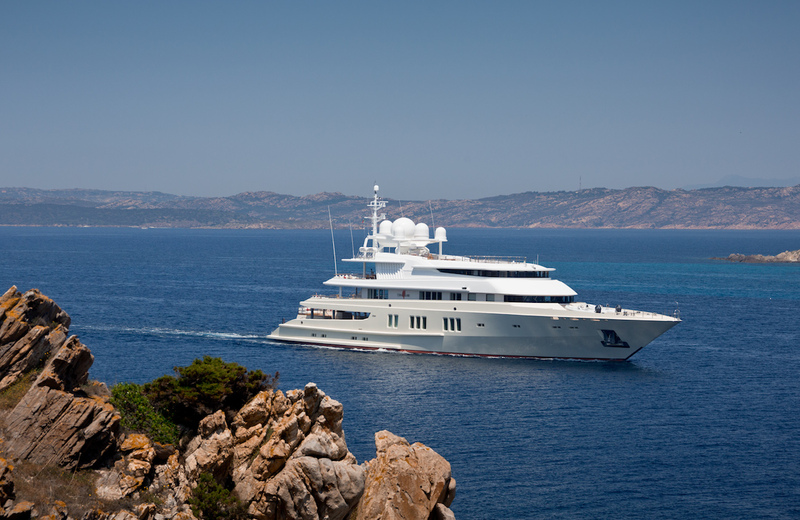 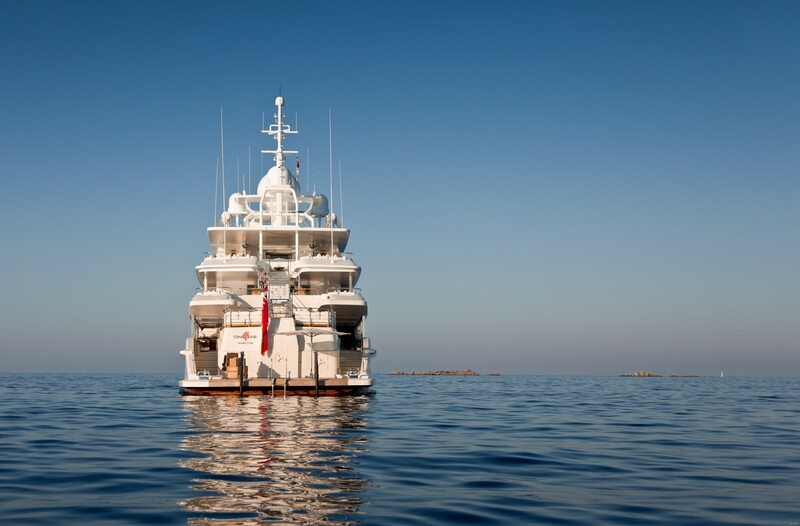 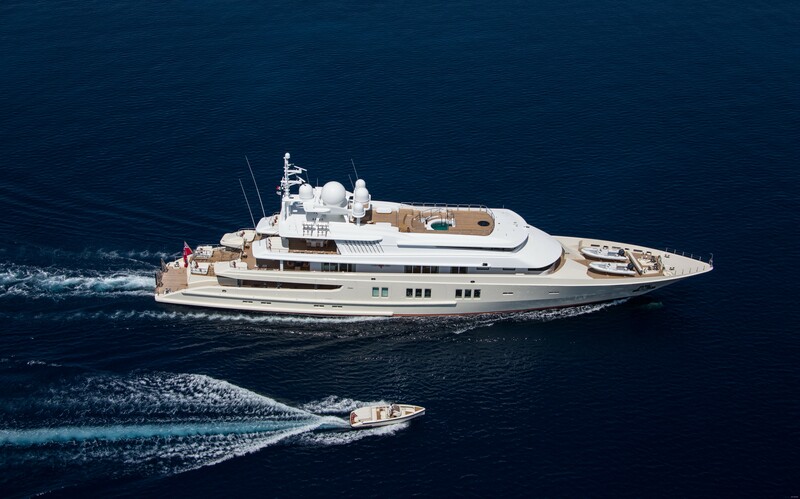 Her interior and exterior were designed by the long-established design studio Bannenberg & Rowell. 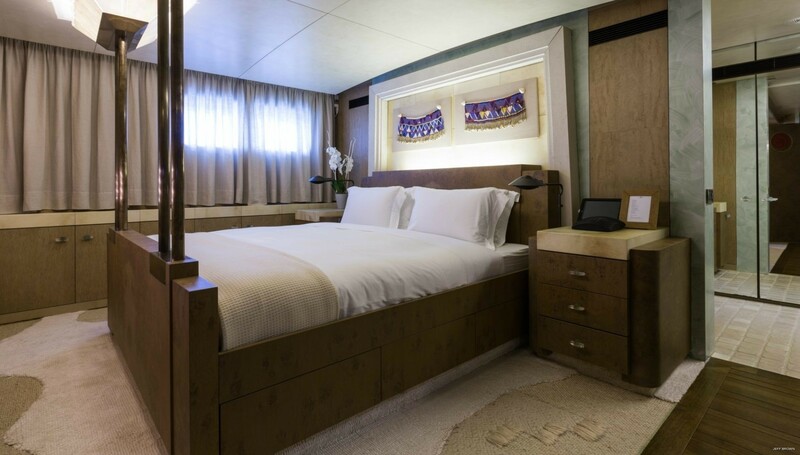 Accommodation on board sleeps up to 12 guests in 6 spacious suites. 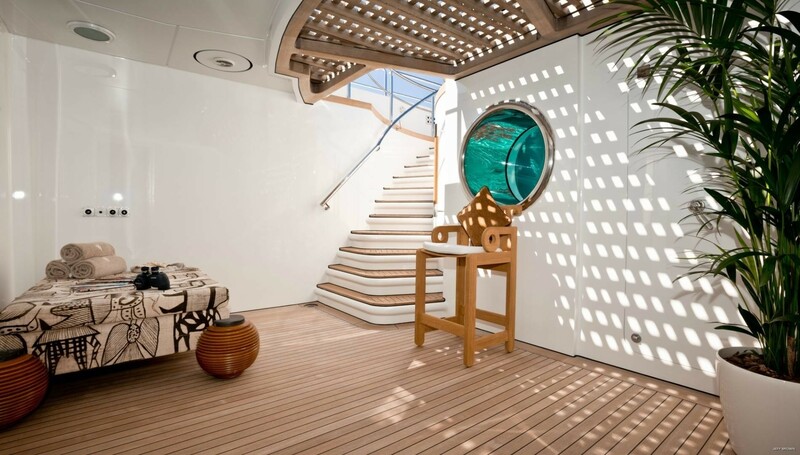 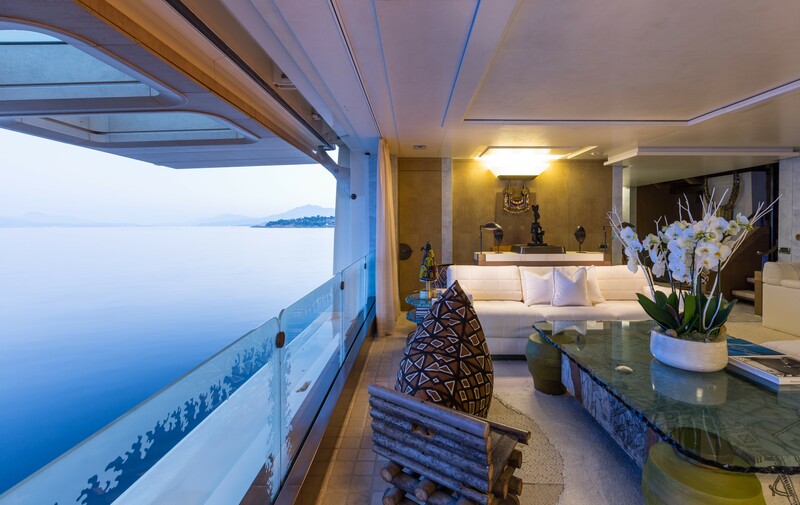 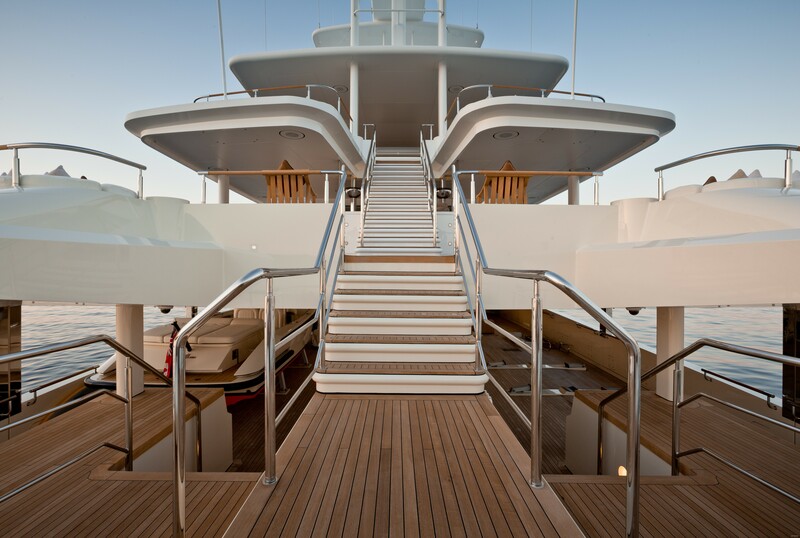 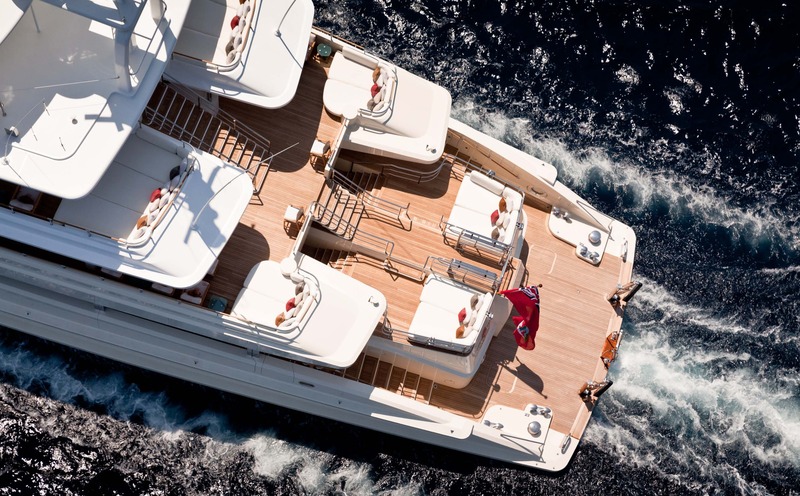 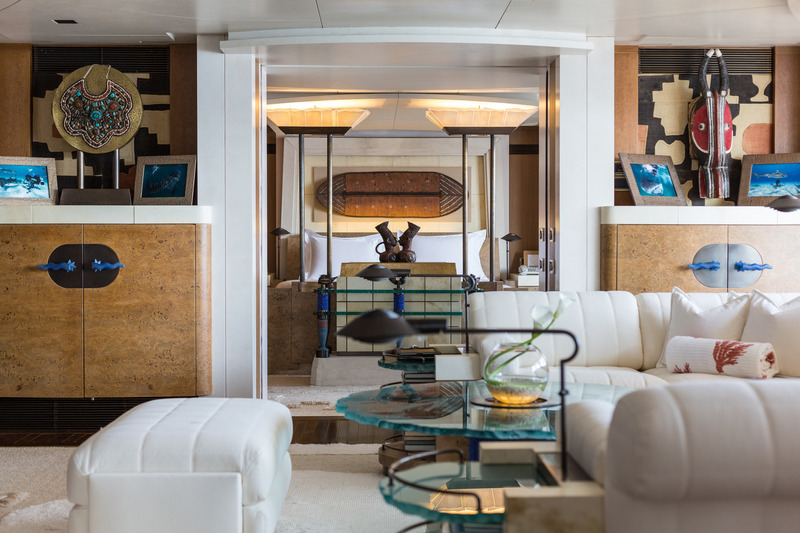 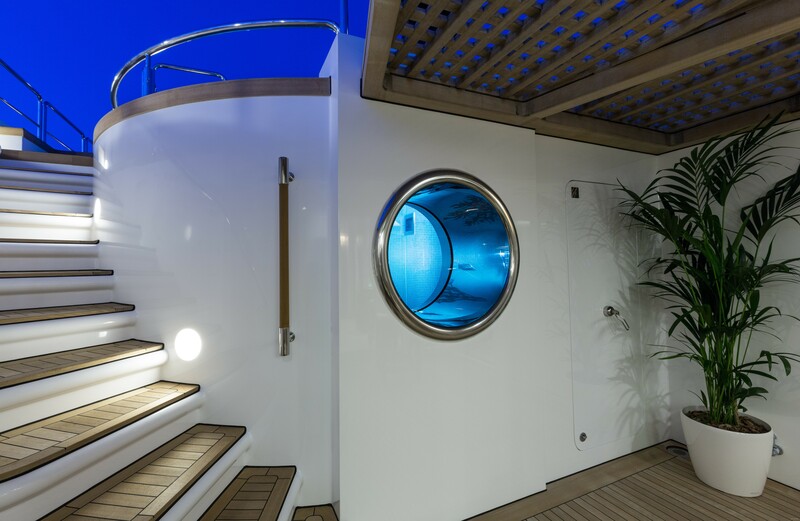 From the swim platform on the lower deck, two staircases lead up to the main deck aft, which can be used for tender storage or turned into an outdoor lounging area. 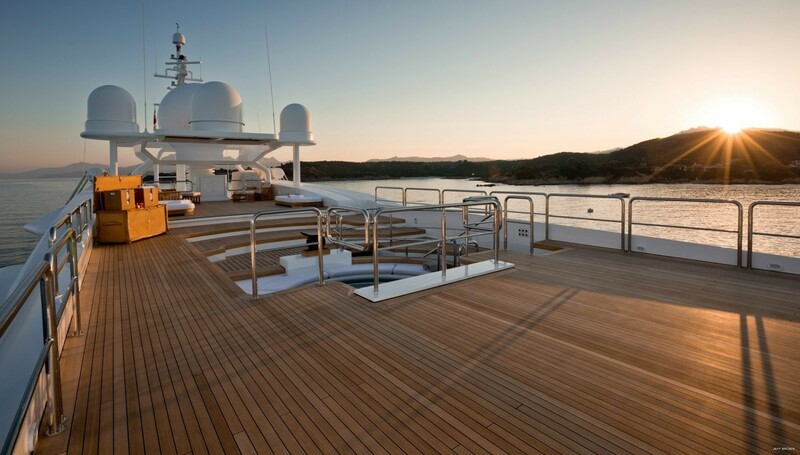 Two sun pads are located on the port and starboard sides of the stern and this configuration is repeated across all the aft decks. 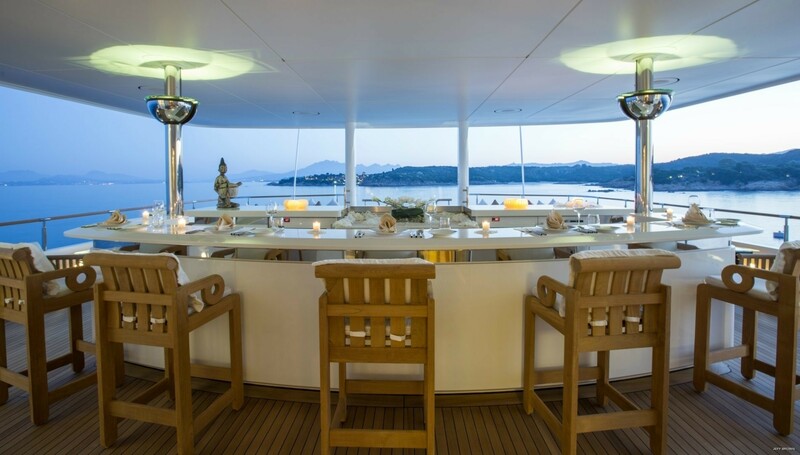 The shaded upper deck can be used for alfresco dining and the table can be placed close to the sky lounge for guests’ convenience. 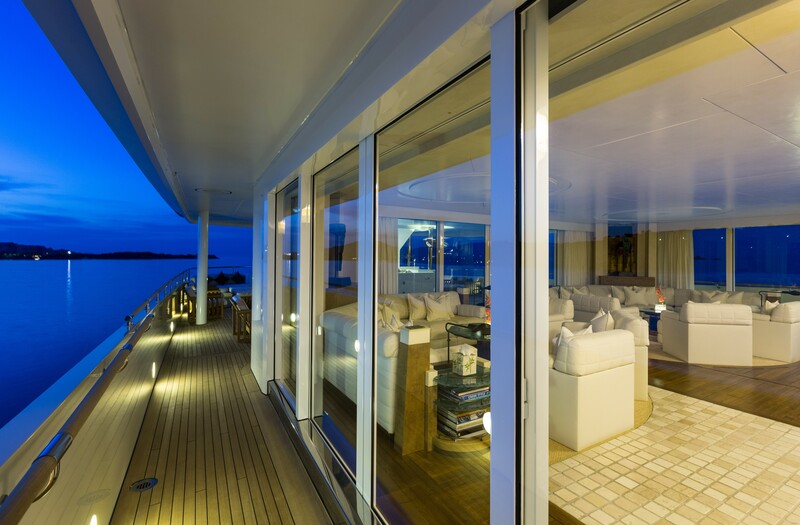 Additional seating is scattered along the sides of the deck for entertaining in the fresh air. 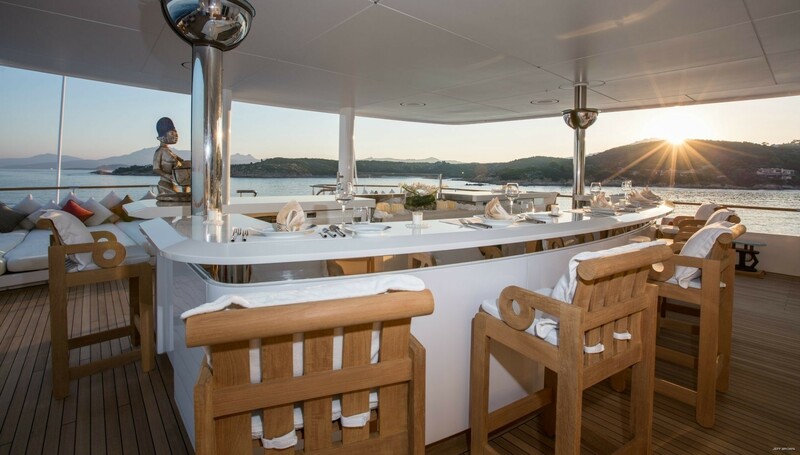 The top deck offers an alternative alfresco dining option with a bar-like setup surrounding a barbeque area and guests have views only surpassed by the sundeck, fitted with a forward plunge pool, sun pads and a lounging space in the shade. 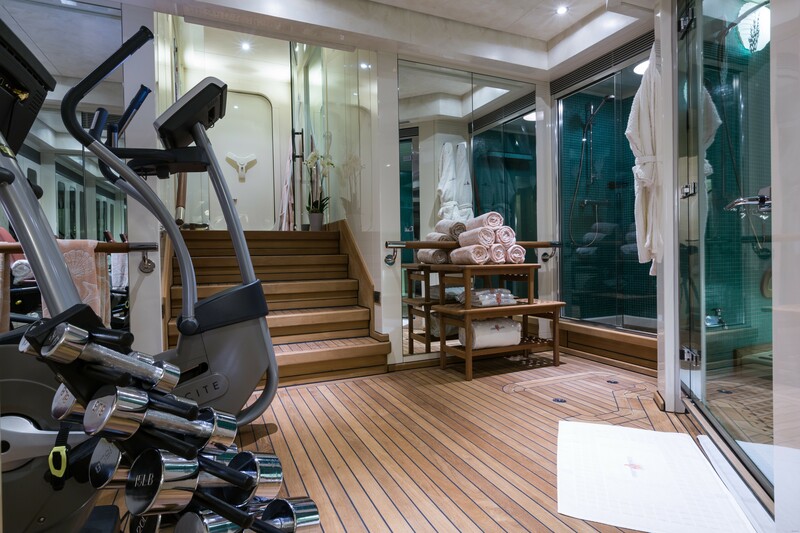 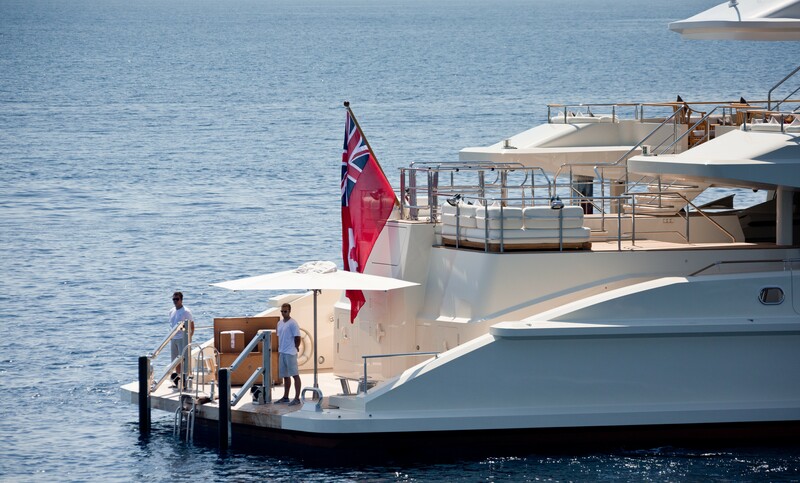 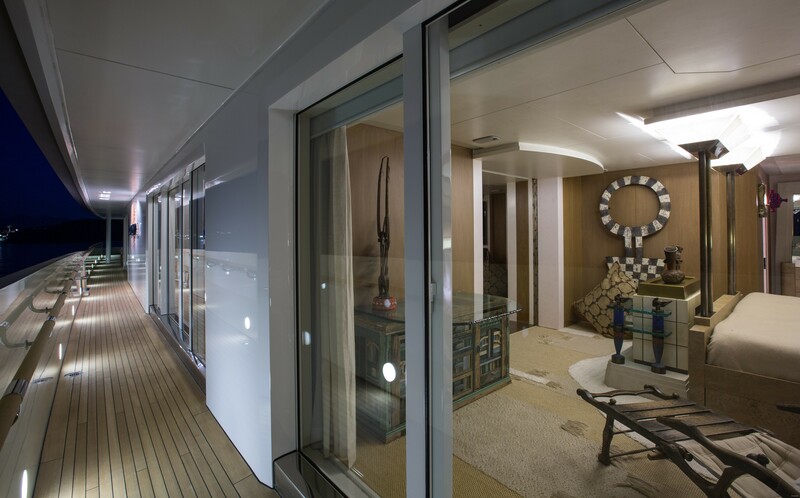 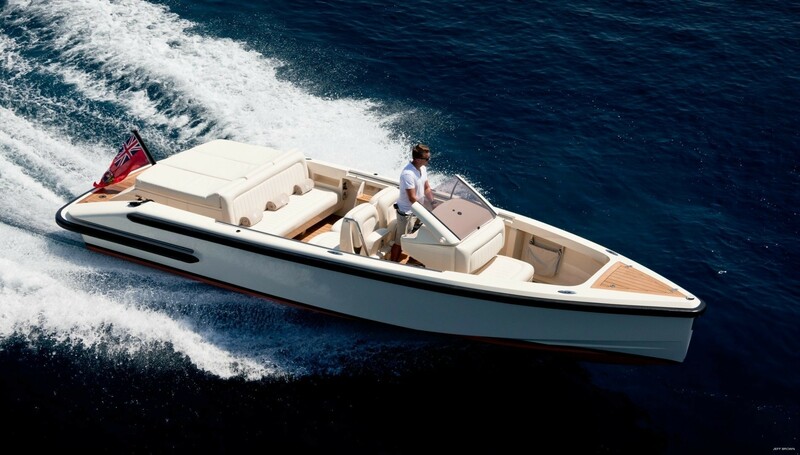 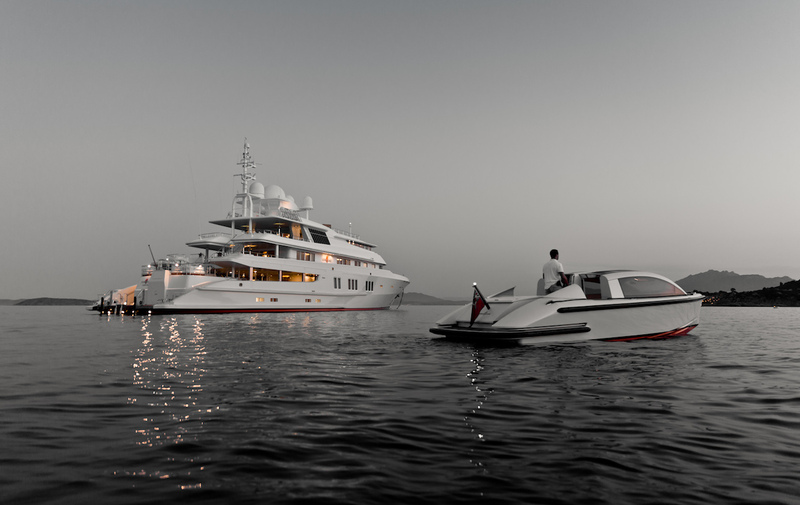 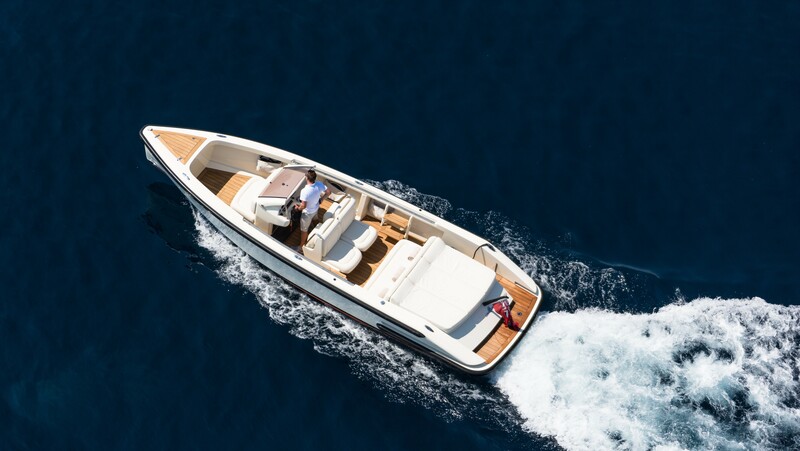 The lower deck layout has a large space in the stern for a tender garage, beach club, gym or spa. 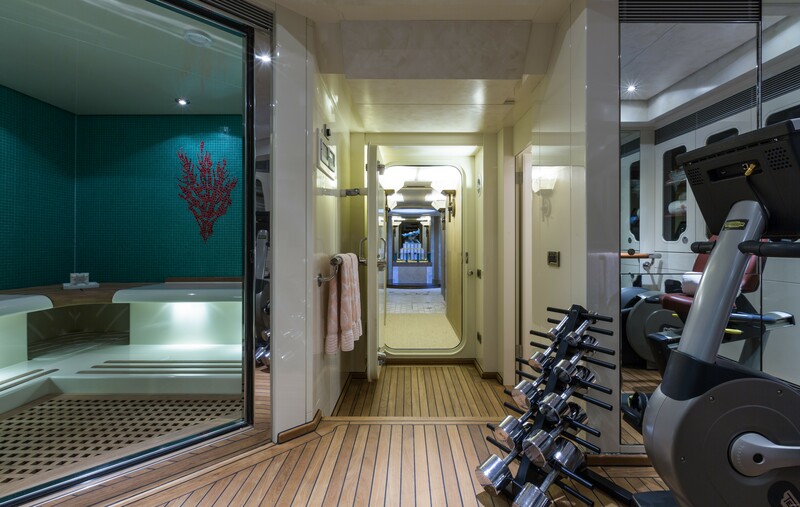 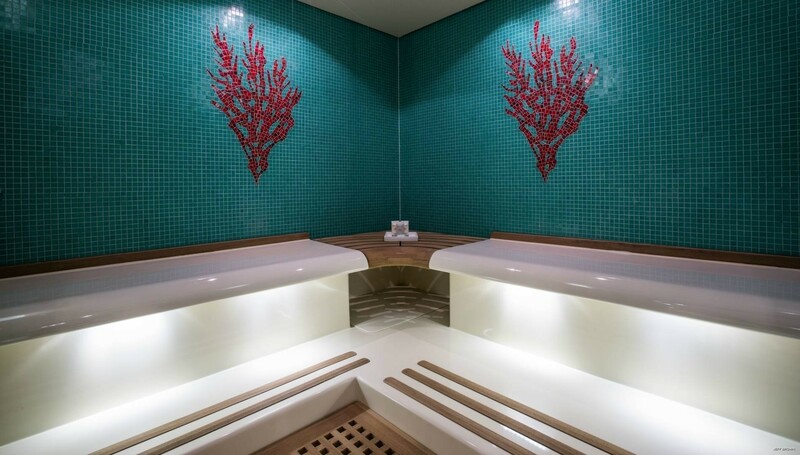 Forward of this recreational area, there is the majority of the guest accommodation: 2 double cabins and 2 twin cabins, all with en-suite facilities. 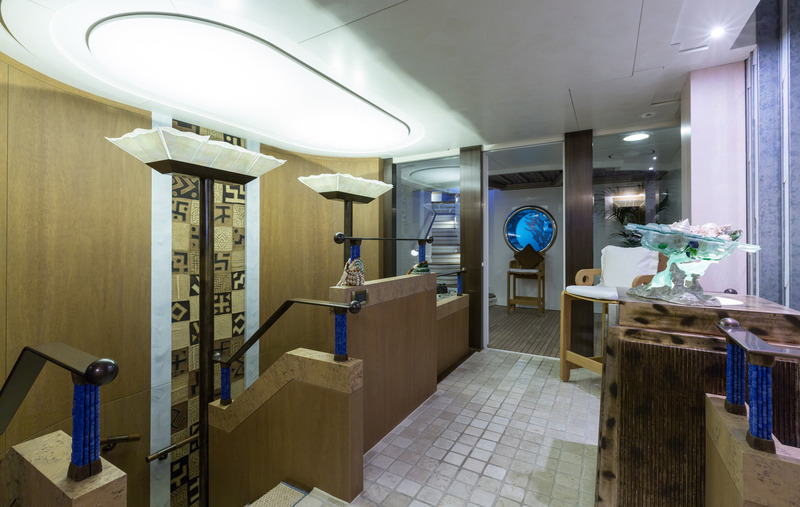 In the centre of the lower deck is the engine room, separated from the guest accommodation by the foyer. 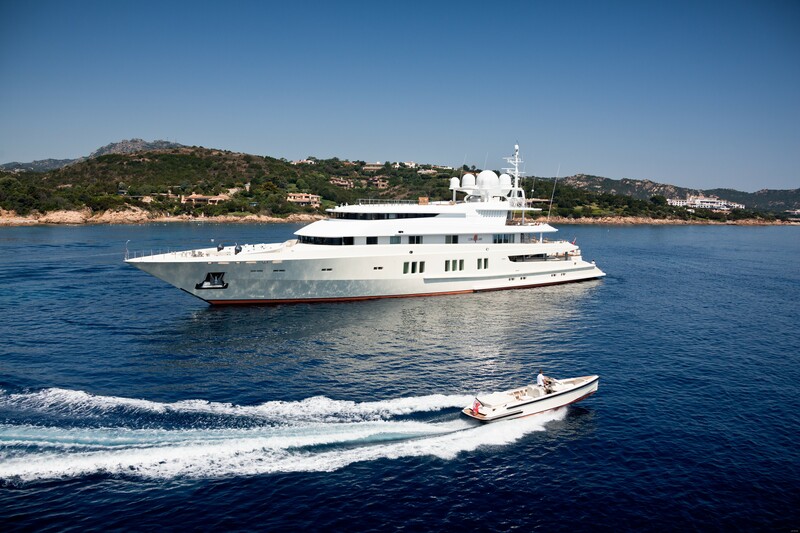 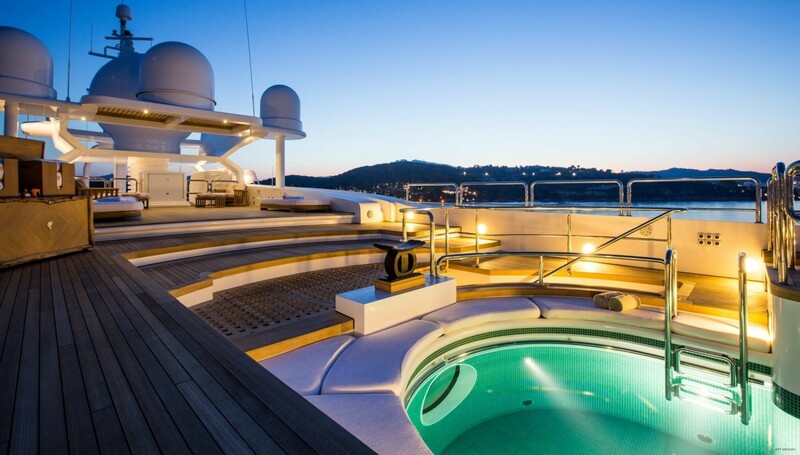 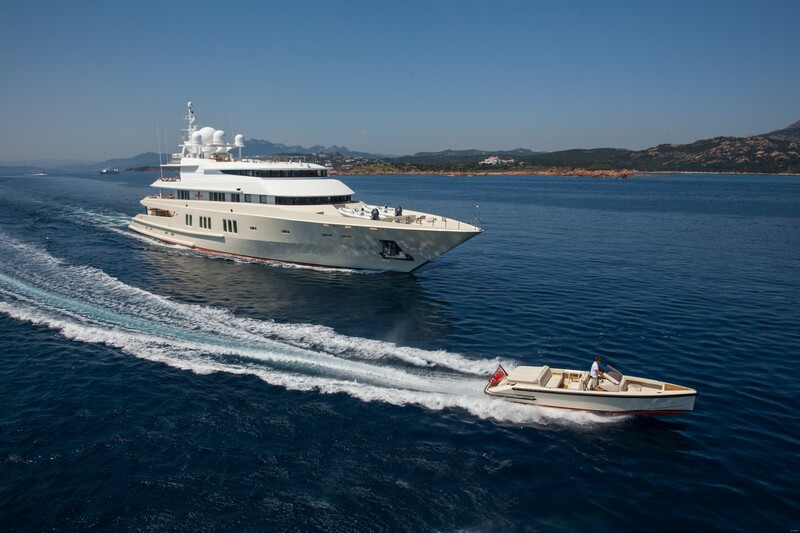 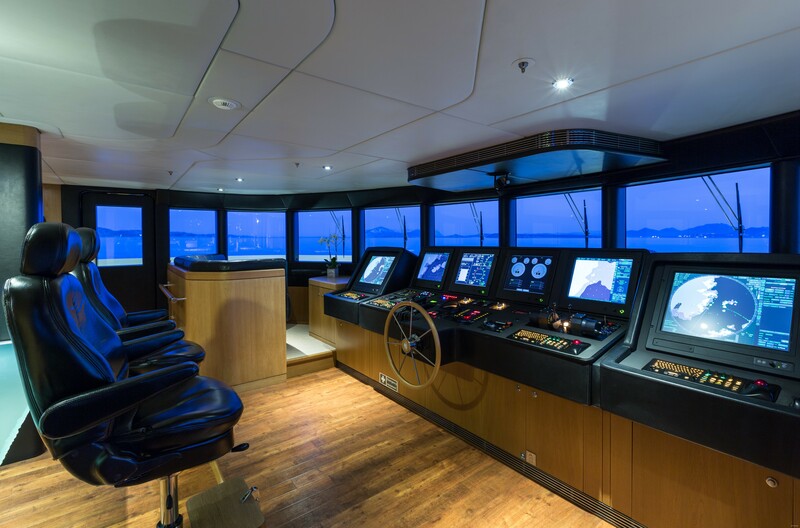 Crew accommodation is placed in the bow section of both the lower deck and the main deck. 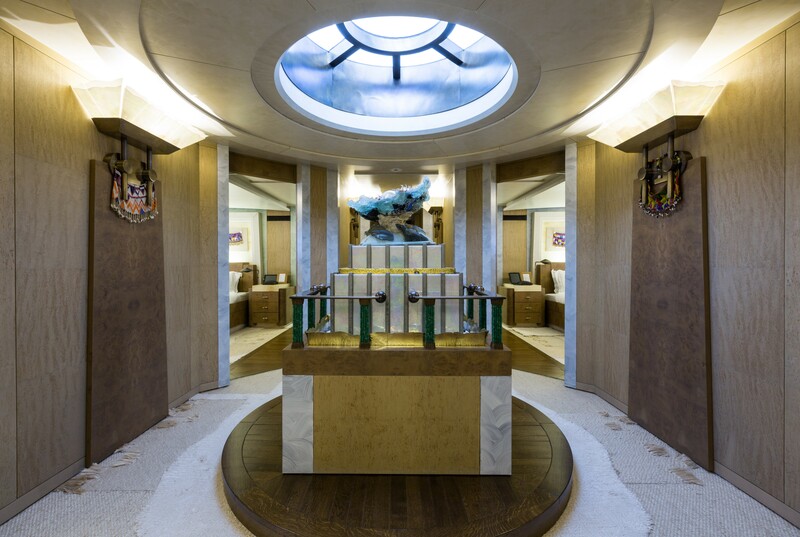 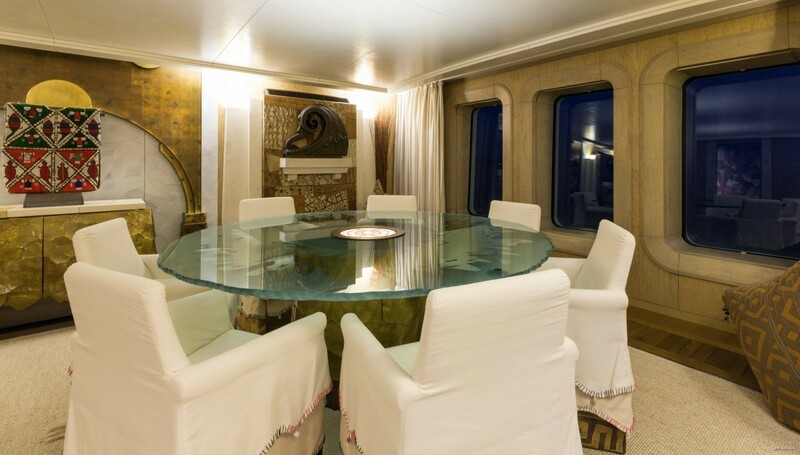 The formal dining area is located in the centre of the main deck with a separate main salon capable of hosting two separate seating areas behind. 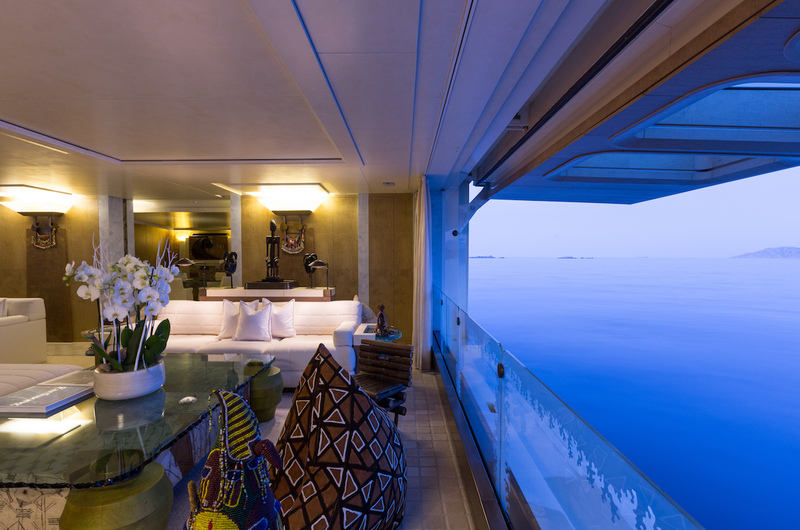 Two staircases connect the room to the accommodation below and the upper deck sky lounge, which contains a bar and sofas for relaxation and entertainment. 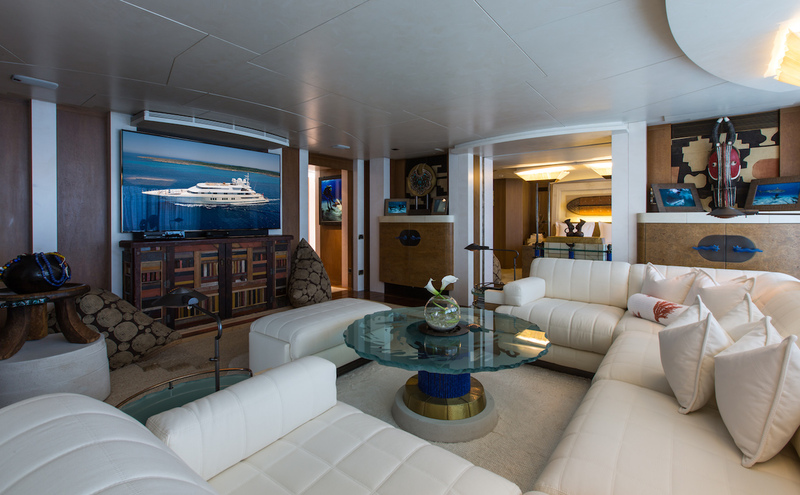 Forward of this connecting staircase is the TV lounge, which can be used as a private lounge for the VIP stateroom complete with en-suite facilities. 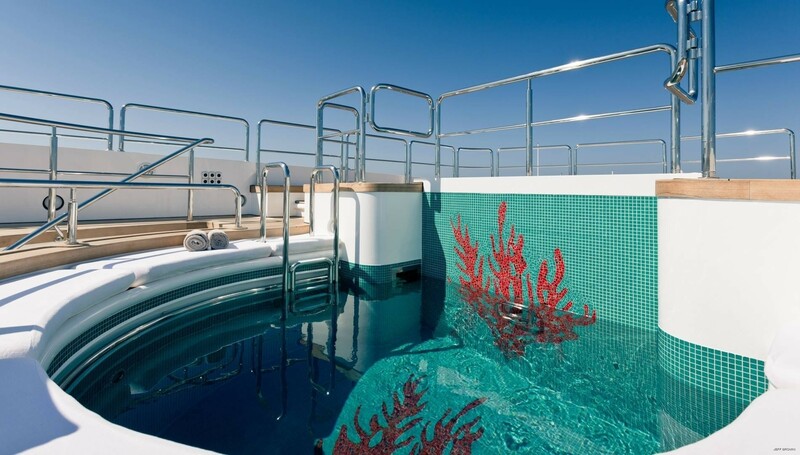 The sky lounge staircase leads up to the top deck which in turn connects to the sundeck. 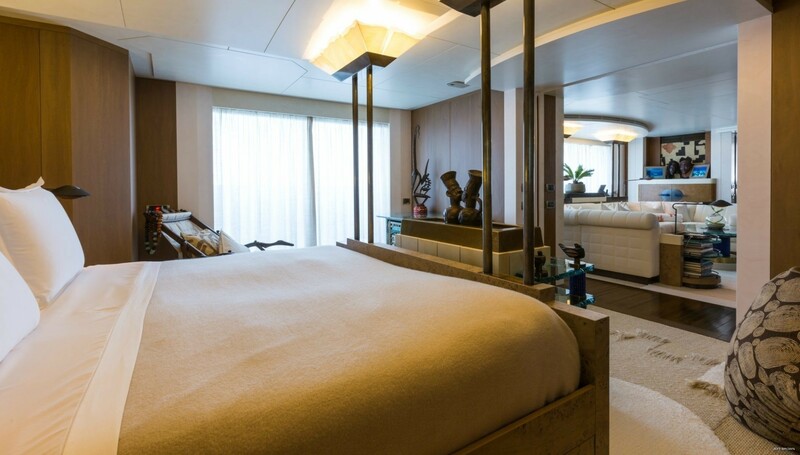 On the top deck forward there is a generous Master suite consisting of a private lounge in the bedroom that takes in impressive forward views, plus a massive en-suite bathroom with a tub and shower as well as a walk-in wardrobe. 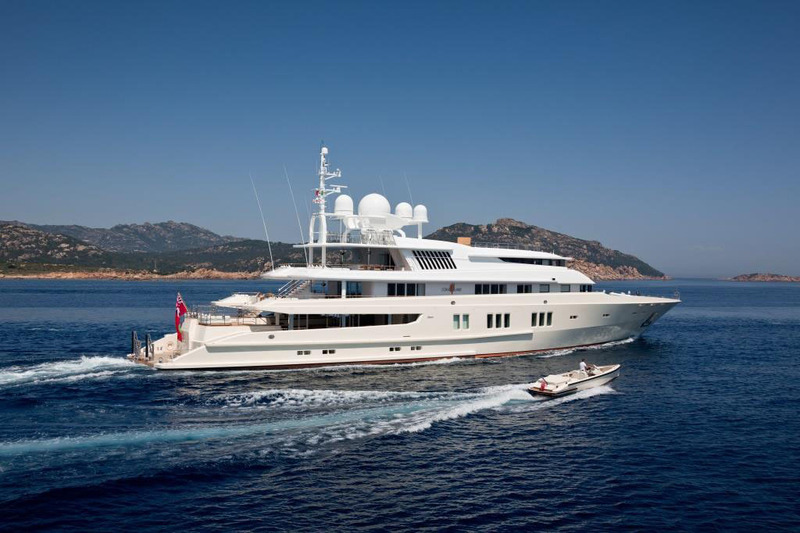 The 73m Custom mega yacht by Lurssen uses twin 3516HP CAT engines for a maximum speed of 17 knots and a cruising speed of 14 knots. 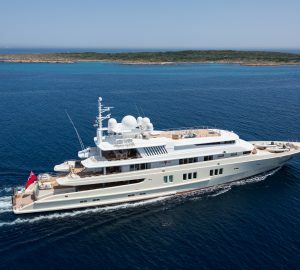 The 73m superyacht built by Lurssen is able to accommodate up to 12 guests across 6 cabins: 1 Master suite, 1 VIP stateroom, 2 double cabins and 2 twin cabins. 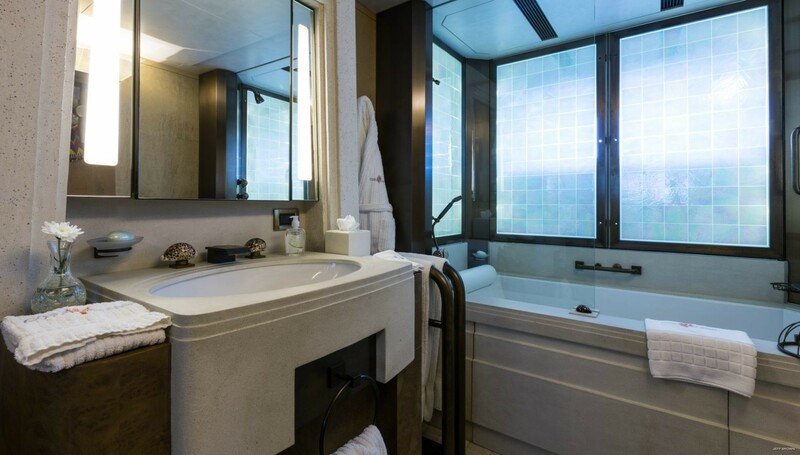 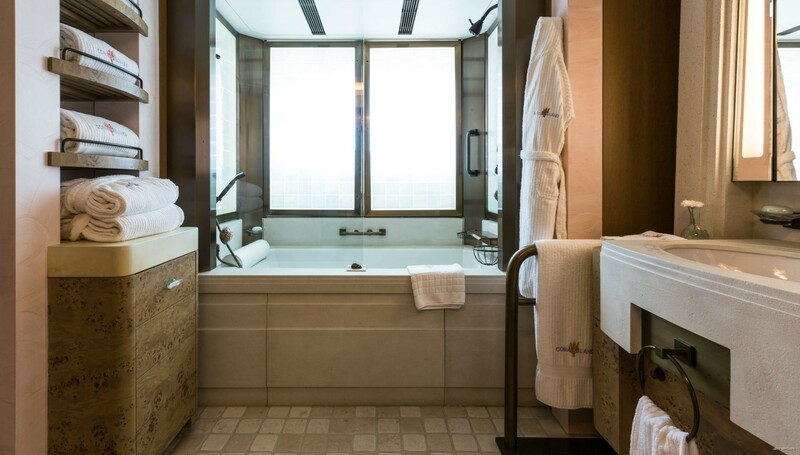 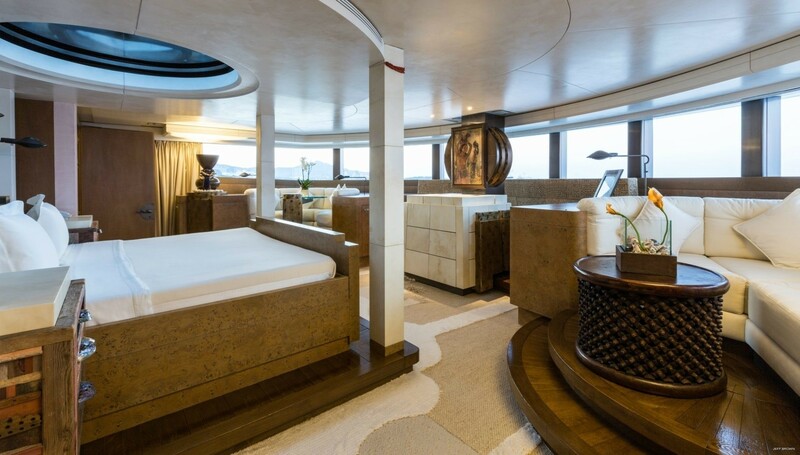 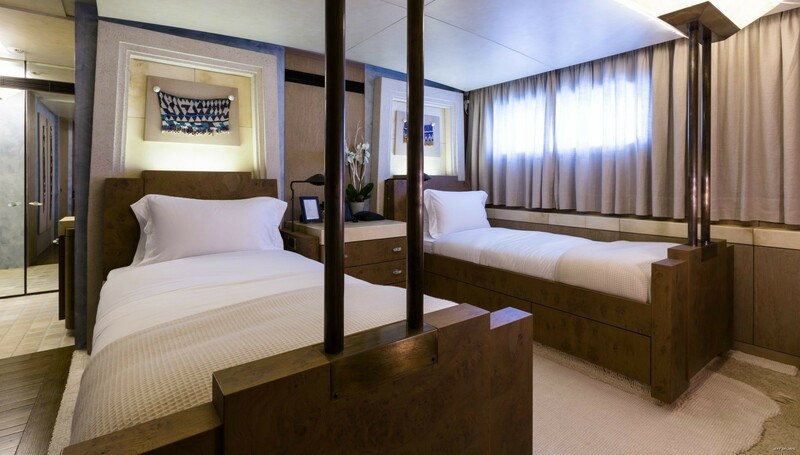 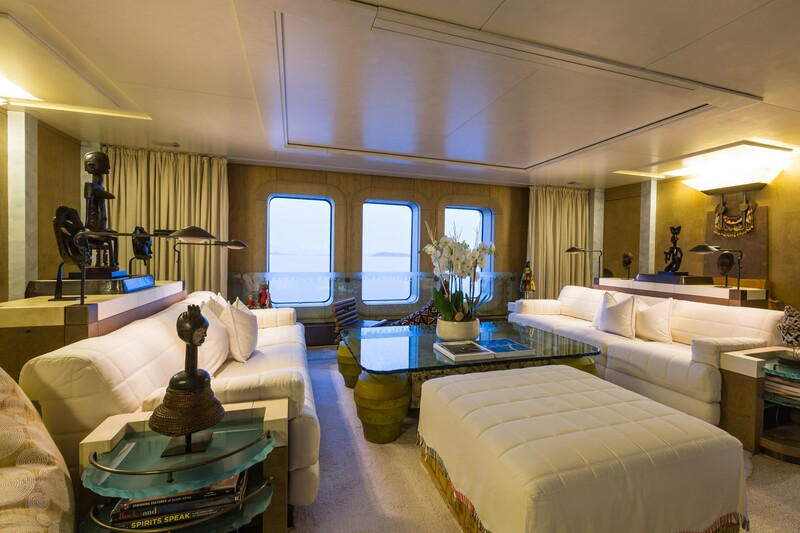 Accommodation is spread across the decks with the Master suite placed on the top deck, the VIP stateroom on the upper deck and the 2 double cabins and 2 twin cabins placed on the lower deck aft of centre. 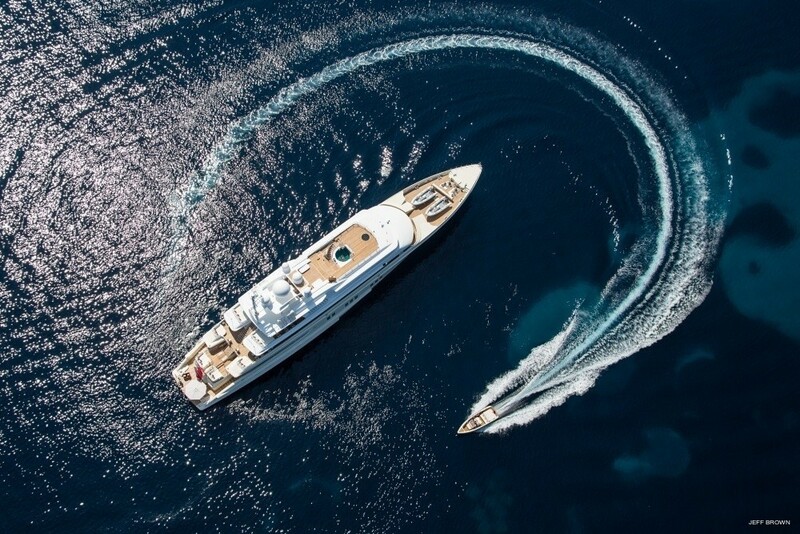 We do have available further amenity, owner and price information for the 72.60m (238' 2") yacht 73M CUSTOM SUPERYACHT , so please enquire for more information.